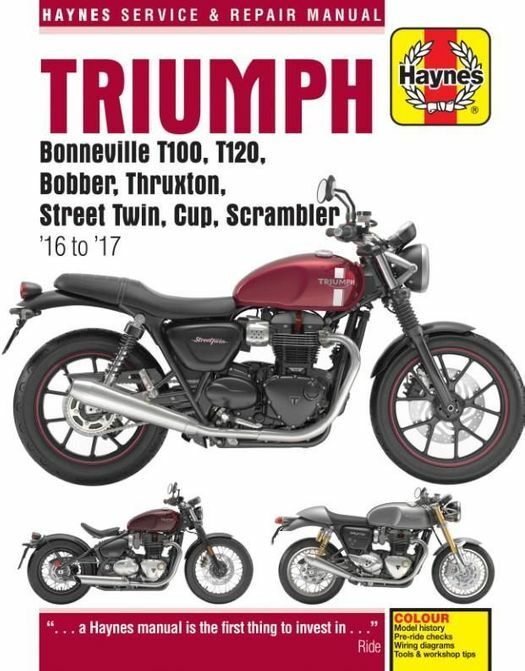 This Haynes M6401 - 2016 - 2017 Triumph Bonneville T100 / T120, Bobber, Thruxton, Street Twin, Cup, Scrambler Repair Manual provides clear and detailed repair, service and maintenance procedures so you can DIY and save. Haynes service manuals are known to provide expert service tips and strategies for all components of your bike including the engine, transmission, cooling system, suspension, steering, brakes, electrical and much more. You will find reference sections on fault finding, conversion factors, lubricants, fluids, security, storage and technical term explanations. NOTE: Includes COLOR wiring diagrams. 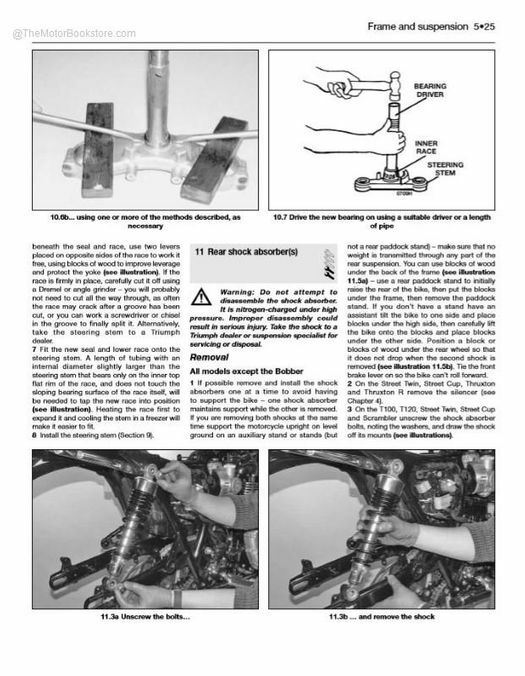 The Triumph Bonneville / Bobber repair manual by Haynes provides step-by-step instructions along with supportive photography (exploded views), diagrams and charts to really convey what needs to be done to accomplish a specific repair / rebuild task. You can be confident that you will not be alone in your repair and rebuild project with this manual in your hands. You will have the help and guidance from very experienced technicians right at your finger tips to keep your project on track and moving forward. The Motor Bookstore is a family and veteran owned business that thoroughly respects our customers. 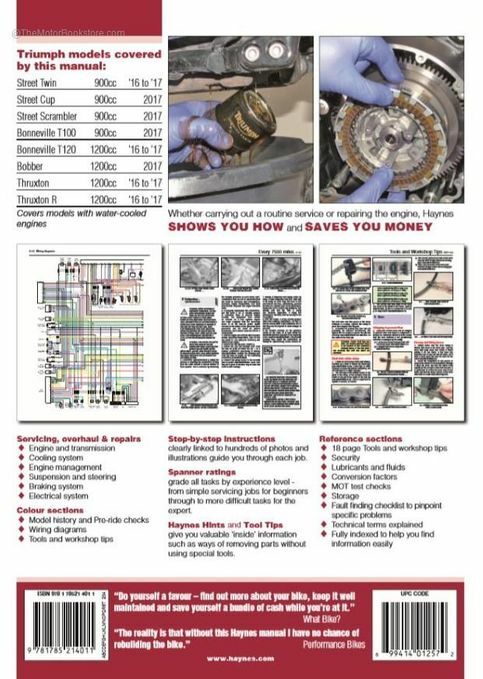 We have been providing DIY mechanics with the best motorcycle literature we can find since 1997. Ask a question about Triumph Bonneville / Bobber Repair Manual 2016-2017.